There is something very appealing about slot games, and Slotomania free video slots games fits that bill to the tee. 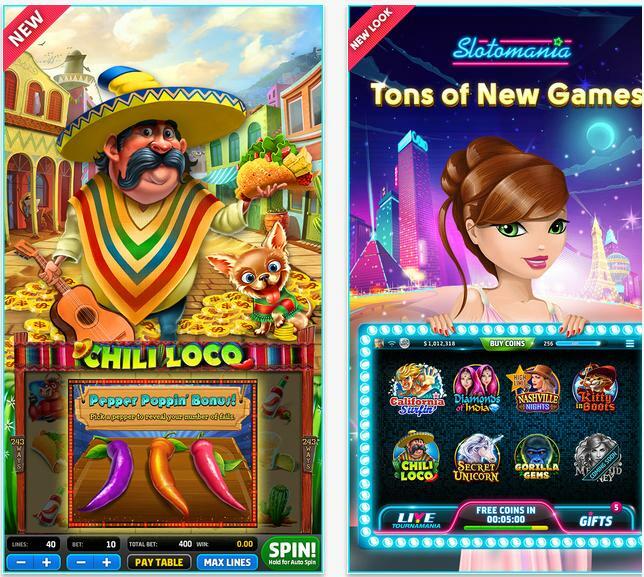 If you are bored of playing just one kind of slot game, no worries, Slotomania has a list to follow. There are over 55 mind blowing games to choose from, each boasting top- tier graphics and high quality sound effects. With innumerable unique game levels, Slotomania can be accessed anywhere anytime on any device, making the game totally universal, playable on any device. Slotomania also has several frequent special promotions, that make the game exciting to play and easily addictive. Apart from that Slotomania also allows you to send and receive gifts to friends thereby making it more interactive. The game levels unlock quite easily and new levels keep are added to the game from time to time, so you will never get bored of the game. Slotomania is one of the easiest games out there. The perfect game to kick back on a Sunday or even in the evenings, after a hard day’s work, and just enjoy. The best part is that Slotomania is one of those games where you can easily win big. Unlike other games, where you eventually run out of coins and lose interest in the game, Slotomania allows you countless opportunities to earn extra coins from bonus rounds, free spins and mini games. Just one thing, Slotomania is a game meant for people who are 21 years or older and for purposes of amusement alone!